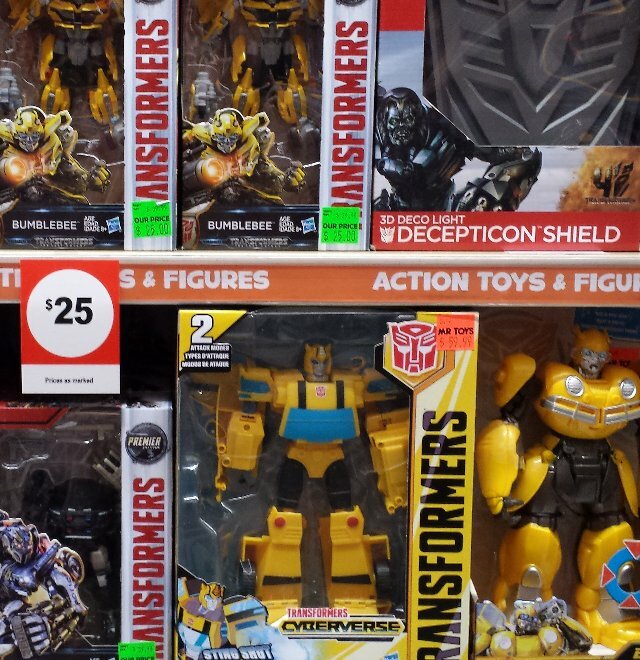 More of wave 2 of the WFC Siege toyline continues to be found at Australian retail, while we still wait for the national retailers to even stock the toyline. As such, we might not end up seeing wave 1 of most size classes at stores like Kmart, Target and BigW... whenever they eventually get those sizes in. 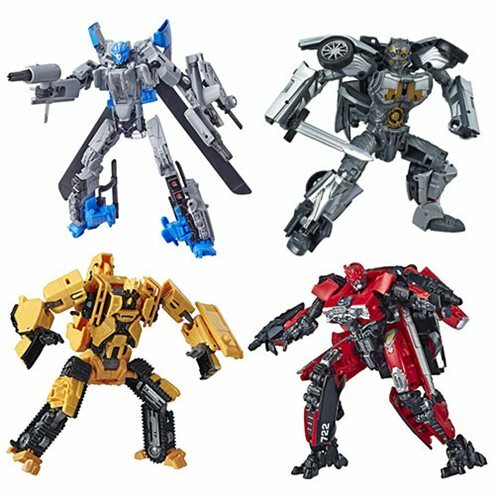 Found at several Toymate and Toyworld stores this week in different states (as well as one Target store today), are the second wave Deluxe toys - Ironhide, Prowl, Sixgun and Chromia. To play it safe, if you are wanting to make sure you get any of the wave 1 toys, perhaps check out Amazon (Australia or America - the stock will come from America), or any other online store that has them that you trust. 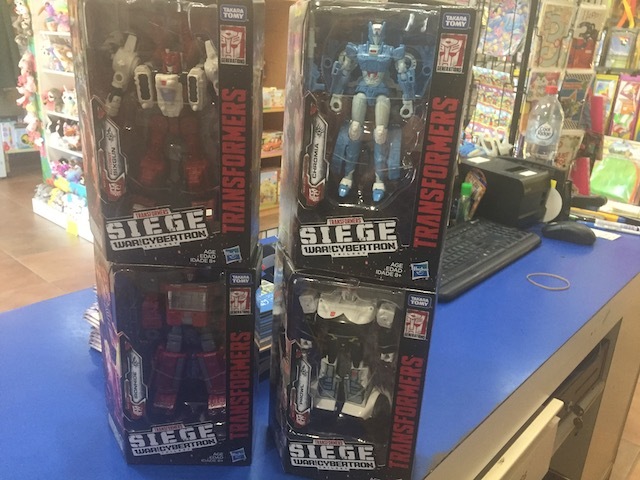 Was at the Toymate in the Lidcombe Station near Olympic Park, found all Wave 2 Siege Deluxes. Toyworld Noosa has Sixgun, Ironhide, Chromia, Prowl, Starcream and Soundwave, but they've raised the prices to $39.99 and $54.99 respectively, so I skipped it. Can't wait for these to show up at normal retail. 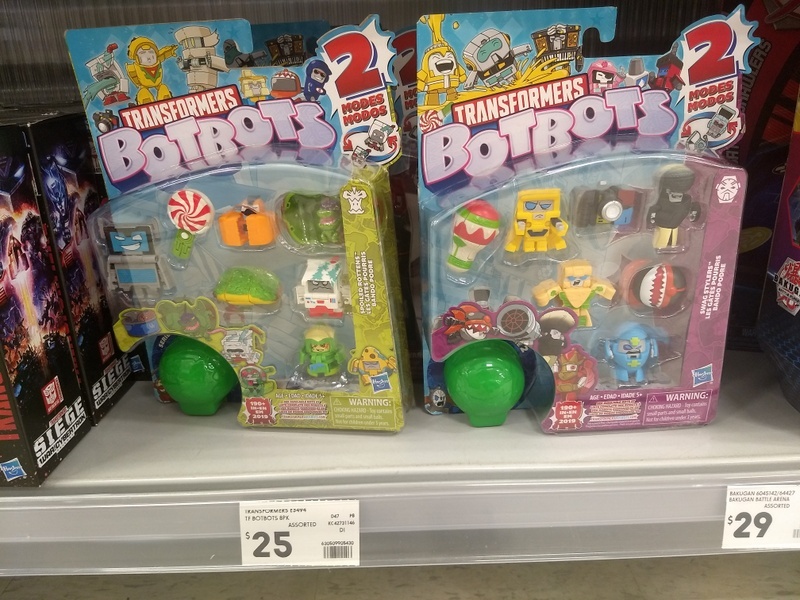 - Series 2 Transformers TCG booster packs found at BigW. 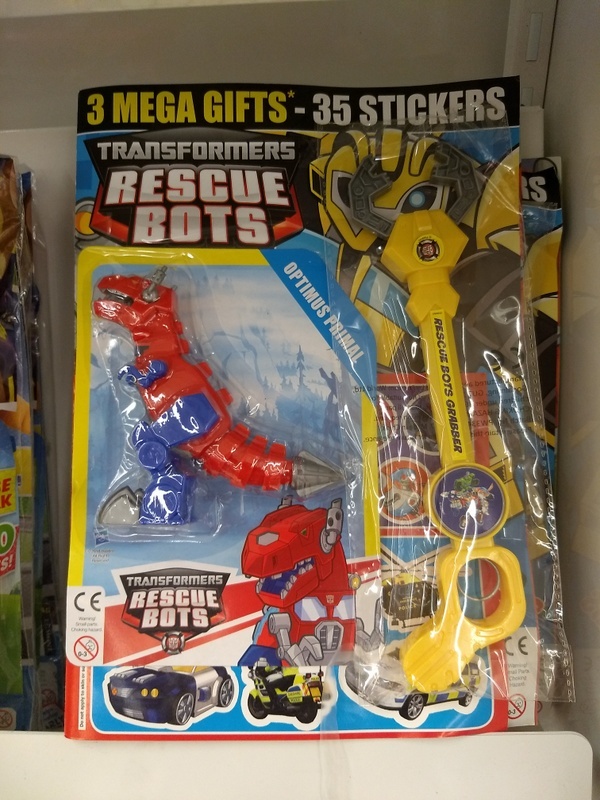 - UK Rescue Bots magazine (issue 17) found at Coles for $11. - Cyberverse Ultimate w2 Bumblebee. - JP Golden Lagoon 3-pack and Starscream, and JP MP Shadow Panther at Mr Toys Toyworld in Brisbane (could be exclusive). 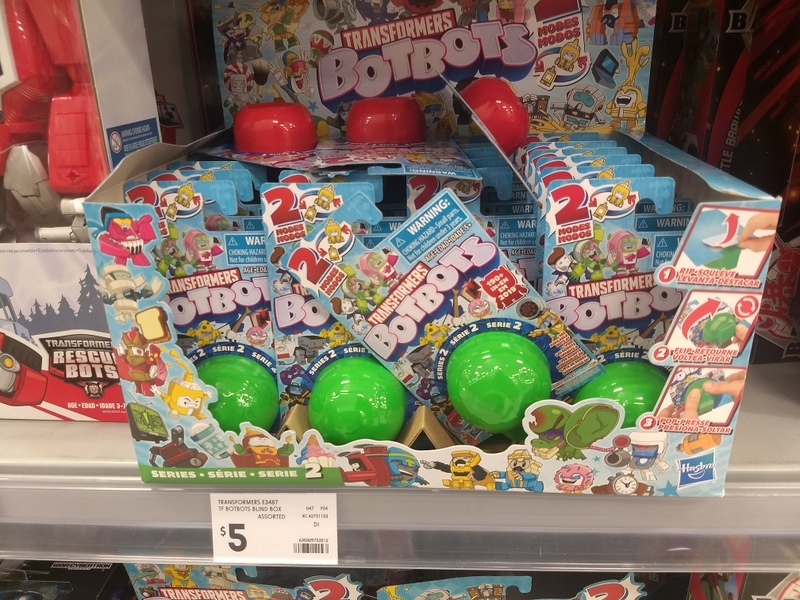 Bot Bots Series Two 8-packs at Toymate Lidcombe. 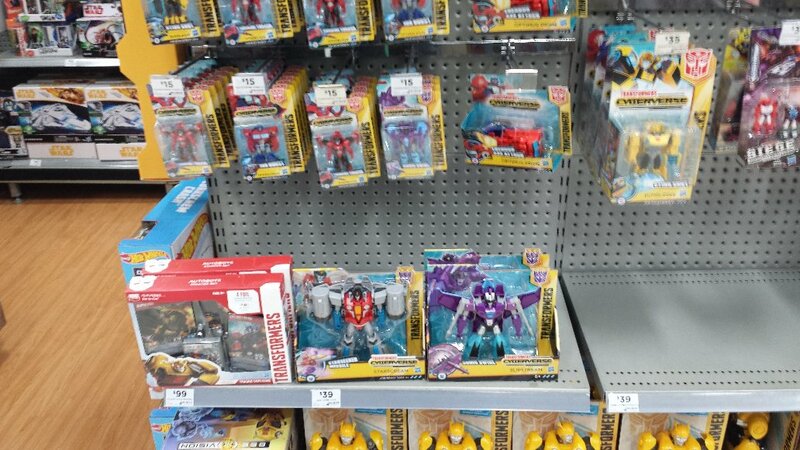 Right now, I'm looking at Rise of the Combiner boosters at kmart Caloundra. $7. 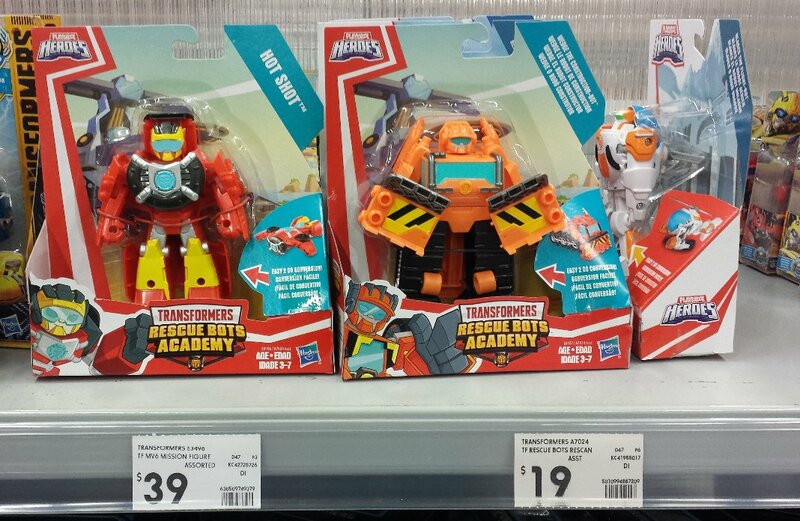 Kmart - the newest wave of Rescue Bots Rescan (Hotspot and Wedge). Kmart Garden City - the newest Rescue Bots (including Hotshot VTOL jet and the minor redeco Bumblebee car). BigW Carindale - Finally found the Cyberverse Ultra Slipstream (it was supposed to be released with Optimus, but I think there must have been a revision wave that doesn't have Slipstream, as Optimus would normally be the character that goes first).